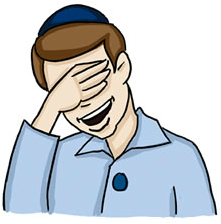 Click here to go back to Ahavah Rabbh. Click here to go forward to V'ahavta. Many people cover their eyes while they recite the Sh'ma. As we declare God's unity, we close our eyes to a world that appears to be filled with separation and distinctions and imagine all of reality united in God. 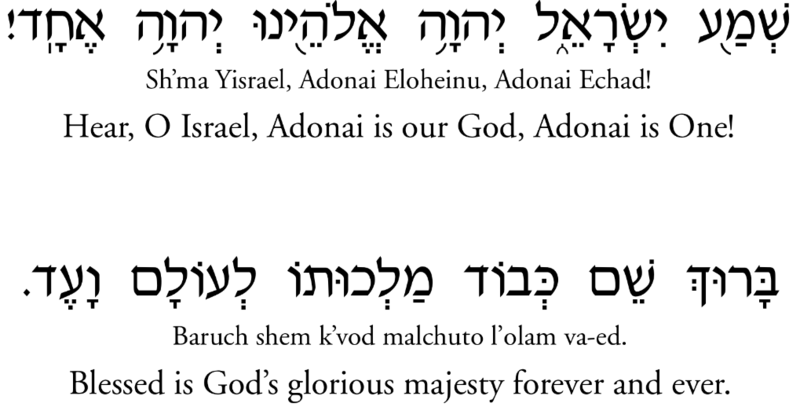 The six Hebrew words of the Sh'ma, "Hear O Israel, Adonai is our God, Adonai is One," is regarded as the central statement of Jewish faith. Yet, it can be interpreted and understood in many ways. In declaring Sh'ma, we state that there is one God who is the source of all morality. There is such a thing as right and wrong in the universe because there is one God who sets one standard for all. The Sh'ma also teaches that God is One – the oneness that unites all reality. There is nothing that God is not. Everything and everyone that inhabits reality is a reflection of God's presence.